Whether from our own expectations or those pesky, forever young societal ones, as women age we're under a lot of pressure to keep our skin looking the absolute best that it can. While you may have thought that you wouldn't have to start worrying about that and making intentional steps to do so until you were in your 30s or even 40s, there are many, many things that you can start to do in your 20s that'll allow you to take good care of your skin and protect it in the long-run. Here's what the experts I spoke with said you need to know in order to care for your skin as best you can to have healthy, glowing skin in your 20s and beyond. You certainly know by now that you're supposed to wear a high-quality sunscreen whenever you hit the beach, the pool, or the hiking trails, but one of the best things you can do for your skin is to wear sunscreen whenever you're going to spend any time outside. "I like to tell patients there's two main types of sunscreens: there's physical blockers and chemical blockers and most sunscreens use combinations of them to make them broad-spectrum, but zinc in and of itself is broad-spectrum, so we like, especially for the face, to recommend zinc sunscreens," said Dr. Matthew Elias, a board-certified dermatologist. "A lot of people will complain that [zinc sunscreens] are white, but now they are micronized or transparent, so you rub them in and you can't tell that you're wearing actually zinc, or they're tinted. 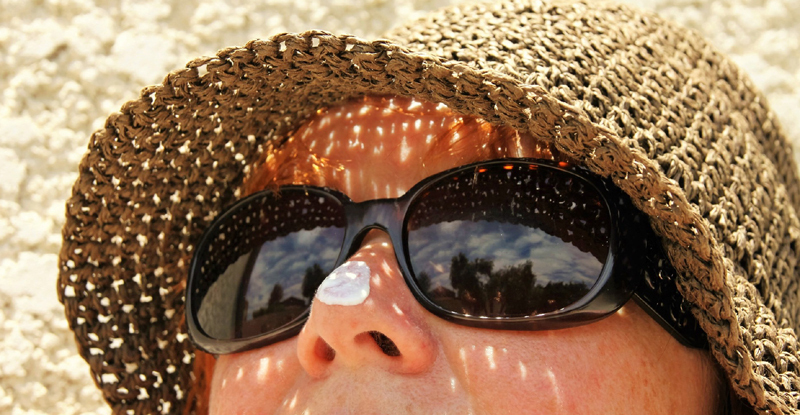 So broad-spectrum UVA/UVB sunscreen, SPF higher than 30, and then, obviously, apply it and reapply religiously if you're going to be out in the sun." If you live in an urban area (or you're visiting one for a while), you may also want to select a sunscreen that protects against infrared and environmental pollutants as well to make sure that you protect your skin from anything that can cause it harm. Sunglasses are more than just the finishing accessory to your outdoors-all-day outfit, they protect not only your eyes, but your skin as well. "The first signs of aging you can see is usually around your eyes, [where] skin is thinner and more delicate," said Licensed Esthetician Jennifer McElroy. "I recommend wearing sunglasses with wider sides to protect the eye area from all angles of the sun." 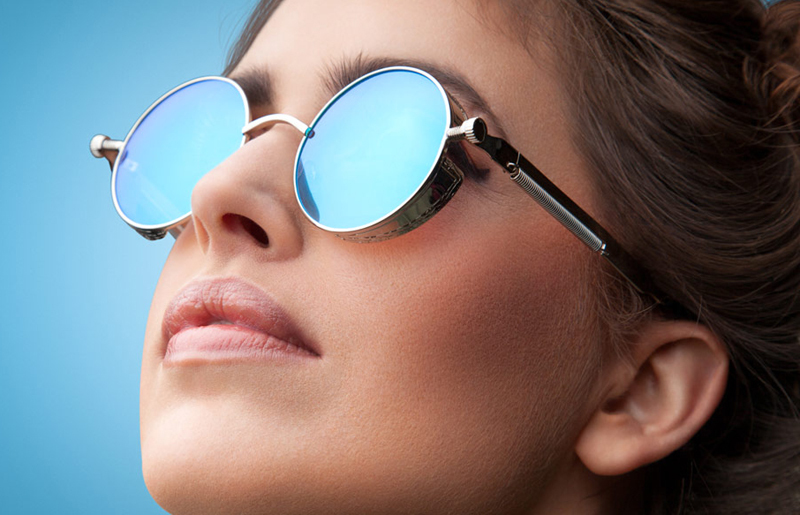 Make sure you choose a pair that will protect your eyesight, which can be damaged by the sun, as well as keep that delicate skin wrinkle-free from having to strain to see clearly. It can be so tempting to pick at blemishes on your face, but, as Elias told me, it's far better to take the initiative to treat it instead. "Treating acne is important, you don't want to scar," said Elias. "Scarring is much more difficult to treat as opposed to acne. 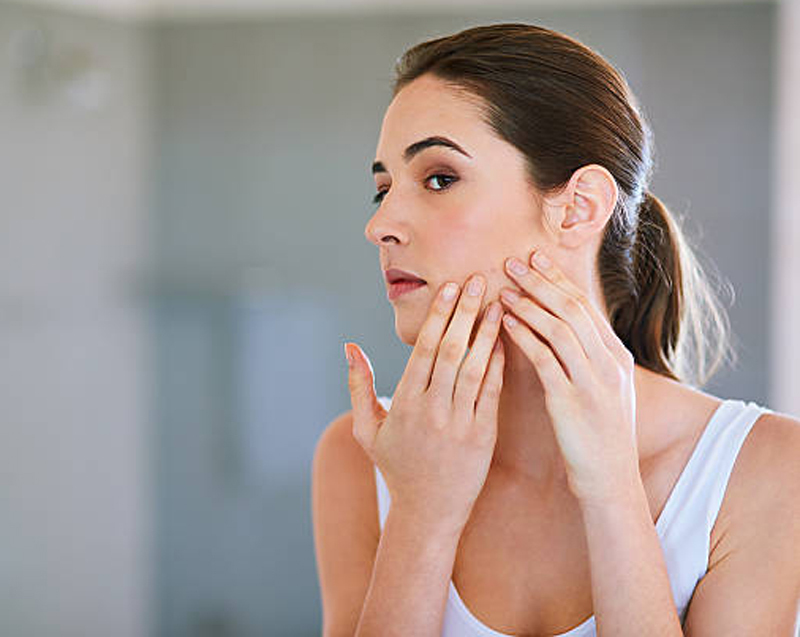 It's easier to treat when it doesn't scar, so you want to start clearing your acne earlier, don't wait until you start getting cystic lesions that you're picking at. Don't pick at lesions, girls love picking at stuff, so don't pick." 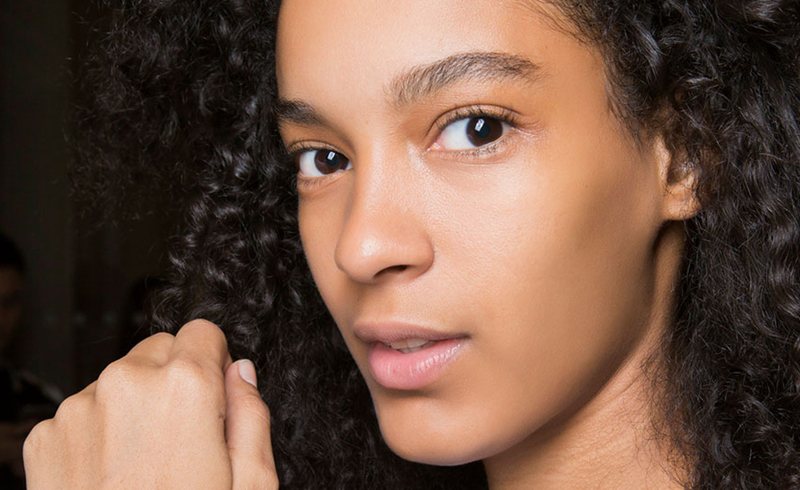 Elias said that the best line of defense is a retinoid like recently-approved for over-the-counter-use Differin, which can take a couple of months to work. And if you can't clear up your acne with cleansers and over-the-counter treatments, see your dermatologist for something with a little more oomph to it. 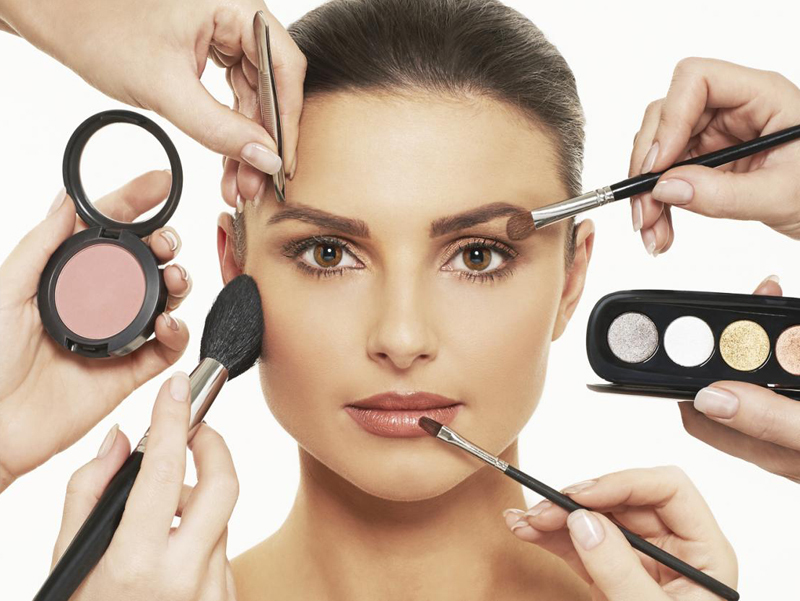 Wearing too much makeup can take a toll on your skin. McElroy told me that women in their 20s likely don't need to overdo it. Keeping it simple can also make it easier for you to get out the door in the morning. "In your 20s, stick to light face make up: BB creams (beauty balms) and lightweight concealers to cover blemishes and discolorations," McElroy said. For special occasions, sure, do a little more, but you don't have to cake it all on to go to the office or run a few errands. Your skin will be thankful for the break. Just like an annual visit with your primary care doctor and gynecologist is important, so too is getting in to see your dermatologist for a skin checkup. "[I]t's imperative for young girls in their 20s and 30s to go to their dermatologists and get skin checks because melanoma is increasing rapidly in that age group — young females age 18 to 30," Elias told me. "And melanoma is the deadliest form of skin cancer, which is treatable when caught early so, it's important that they do their due diligence and go in for their skin exams annually." The saying "ignorance is bliss" does not apply here. Better to catch anything problematic earlier rather than later. You've likely heard this before, but it's worth repeating because it's extremely important. Always (no matter how tired you might be) take all of your makeup off your face before climbing into bed. Some women cut corners when it comes to removing eye makeup before bed, but that's important too. According to McElroy, it's important to choose the right cleanser for your skin type. "[For] normal to dry [skin], look for foaming and creamy cleaners. Combination/oily [skin], stick to cleansing gels. Foams are suitable too, if combination dry or during warmer months," McElroy said. "Micellar water is on-trend right now and also removes eye make up and face make up, including waterproof or (long-wearing make up)." 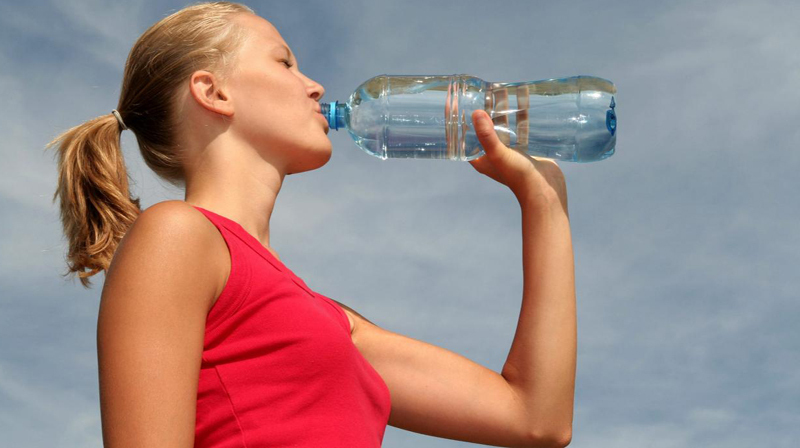 Drinking water is so important for your overall health, but it can also make a noticeable difference in the look, feel, and health of your skin. "Keep your skin hydrated — drink plenty of water — but not just with water, but with products that contain hydrating ingredients that increase hydration. Humectants reduce moisture loss — such as hylauronic acid, sodium pca, and glycerin," said McElroy. Choosing a product that either adds hydration to your skin or slows dehydration will boost the overall moisture levels of your skin, helping you look energized and refreshed. "I think it is important to wash your hands before washing your face," said Susan Ciminelli, a celebrity facialist. She explained that if you don't take the time to make sure that your hands are truly clean before washing your face, any bacteria or other things on your hands get rubbed all over your face, which can cause your skin to breakout. That's pretty much the opposite of what you want. If you're using a washcloth, make sure that's clean and changed regularly too. Tanning beds just aren't worth the risk. 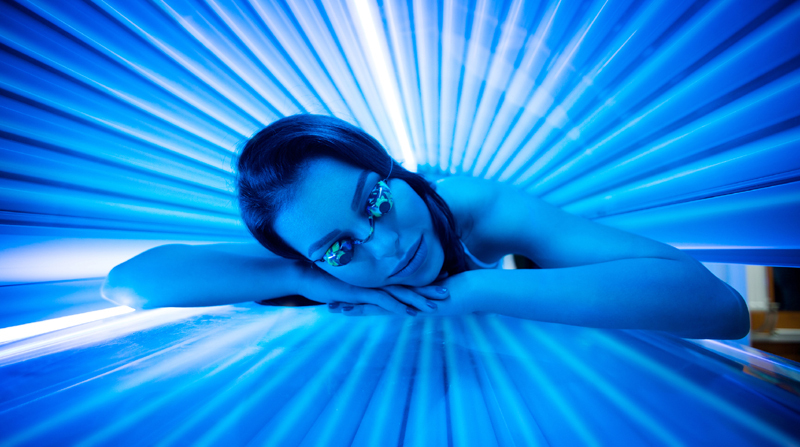 Skin cancer, for one, is a huge drawback to using tanning beds, but beyond that they can also otherwise damage your skin or lead to visible signs of premature skin aging. "Sunless tanning (custom airbrush), not just standing in spray booth is an alternative and there is a real art to achieving the perfect gradual tan," said McElroy. If you feel that your skin needs a bit of a tan, opt for the least risky choice you have at your disposal. Otherwise, it's just not worth it. You might think it's only important to wash your face at night, after taking off your makeup, to wash off the grime of the day, but it's important to wash your face in the morning as well. "The body sweats throughout the night and with the perspiration comes bacteria and other impurities that cause break outs," Ciminelli told me. "I recommend using a cleansing milk, massaged into the skin and all around the eye area, then remove with warm damp washcloth. Then rinse well with cool water. Use a natural astringent such as witch hazel afterwards to make sure the skin is thoroughly cleansed. Then proceed with moisturizing the skin, especially around the eyes, mouth, and neck areas." Each step is important, so don't skimp if you want flawless skin! 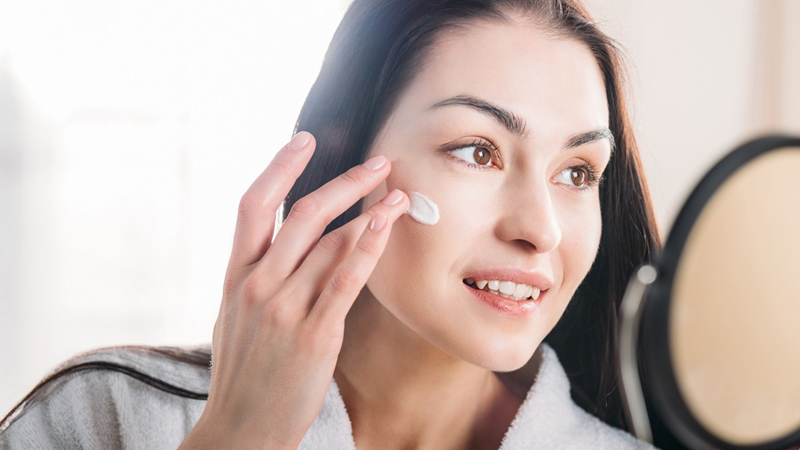 Eye cream is decidedly not something only older people use; starting early is a good way to prevent skin flaws rather than trying to simply address them after they've already appeared. Like with other skin products, you might need to find the right one for your skin type. If you're prone to blemishes, for instance, you might need to use a different eye cream than that of your friends who aren't as prone to blemishes. McElroy said the best way to apply it is to "apply near or on the orbital bone. Start from your outer eye and work towards the inner eye. Apply on top lid/brow bone at night." Just like it's important to make sure your hands or washcloth are clean before you use them to wash your face because anything grimy that's on them would get all over your face, it's also important to clean your makeup brushes, cell phone, and anything else that you touch over the course of the day. "Clean your cell phone daily to remove bacteria, etc. from the surface of it. Clean your key board on your computer and iPad as well because the germs proliferate and we then touch our face with dirty hands causing break outs, etc.," said Ciminelli. "Clean your make up brushes often as well. 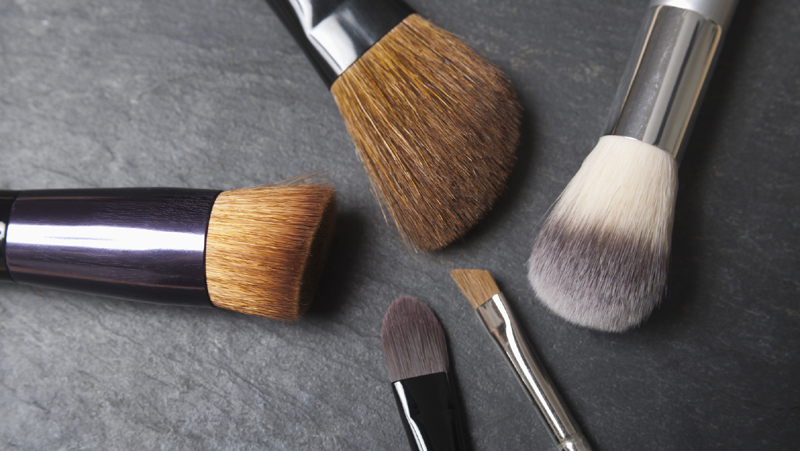 Lots of germs are trapped in your brushes. I use gentle shampoo when cleaning my brushes. I do it no less than once a week." Make sure you take the time to clean your brushes and wipe down your electronics regularly. Getting plenty of sleep is important for your overall health, not just your skin health, but if you're making taking care of your skin a priority, you definitely don't want to skimp on catching those zzz's. According to McElroy, "Skin cell regeneration is most active between 11 p.m. and 4 a.m. so get some sleep." Get your eight hours (or so) to wake up feeling energized, happy, and healthy. It's worth it — and will help your skin look dewy to boot. 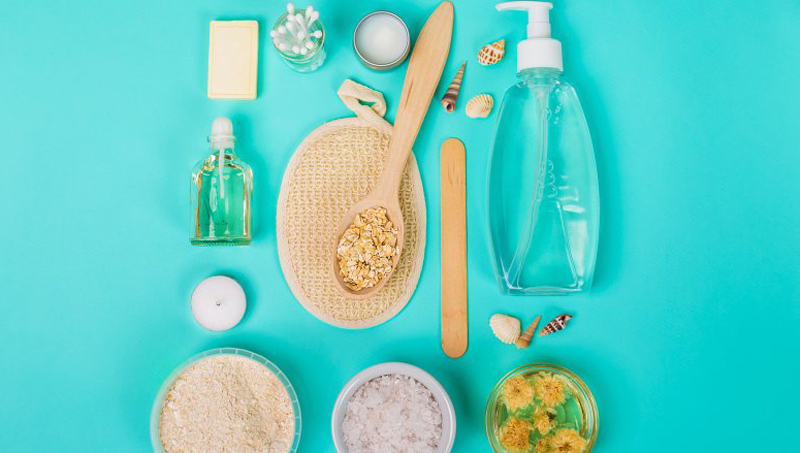 The ingredients in the products you use on your skin, whether skincare products like eye creams or moisturizers or cosmetic products, can have just as much of an impact — positive or negative — as anything else in your skincare routine. "Learn to read the ingredients on your makeup and skincare products," Angela Caglia, a celebrity esthetician, said. "[Much] of what you apply on your skin goes into your blood stream. If you can't pronounce it, chances are it's not good for you. Research and google ingredients. Know your skincare ingredients like you do your food ingredients." Smoking is a no-go if you're trying to take care of your skin in your 20s. "Never ever smoke! Countless celebrities have shared with me their regret for ever having smoked because it is so apparent to the what it did to their skin," Ciminelli said. "When we are young we think our looks will stay with us forever. Not the case. Beauty is earned." Smoking is, of course, also not good for your overall health. According to the Centers for Disease Control and Prevention (CDC), it can cause cancers like lung cancer, respiratory diseases like emphysema and COPD, and cardiovascular and coronary heart disease. 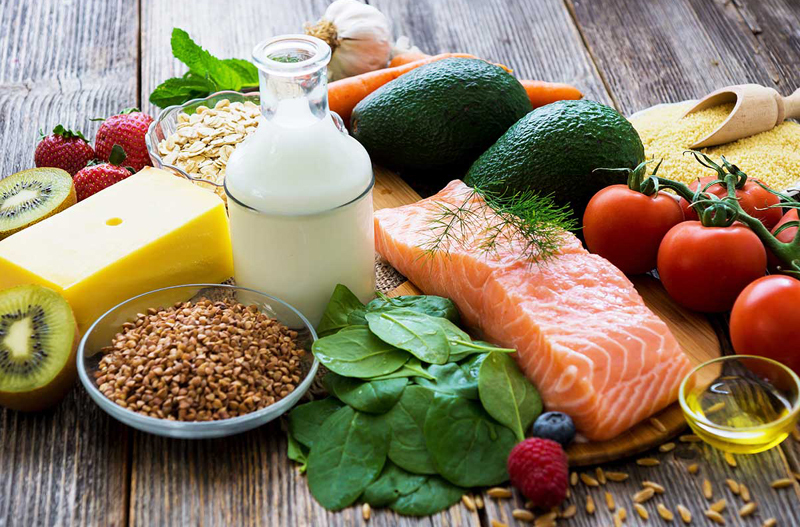 As it turns out, eating healthy, whole foods, or so-called "clean" eating, can make a big impact on the health and appearance of your skin, not just the rest of your health. "Keep a good, clean diet," said Caglia. "You are what you eat." Don't do yourself a disservice by otherwise taking very intentionally good care of your skin, yet eating poorly. Hydrating foods are a win-win — they help keep you healthy, but also affect your hydration levels. You might not know that exercise can help take care of your skin or it just might be the skincare tip by which you swear. "Exercise is key," Ciminelli said. "It helps oxygenate your blood which makes your skin look amazing as well." After all, that's what most people are after: healthy, glowing skin. Take a brisk walk around the neighborhood during your lunch break — it's a quick and easy way to take care of your skin along with your heart and lungs. While you might think that smiling will prematurely cause those dreaded (by some people) aging smile lines, Caglia encourages smiling. "You are young and a happy face is a vibrant face no matter what age you are," Caglia said. "Everyone looks better with a smile!" And don't you forget it. The ways that you care for your skin in your 20s can help keep it healthy — and you happy — for years to come. Preventive care like sun protection, eating well, exercising, moisturizing, and treating any acne, is so much easier than trying to fix or address any perceived issues later on in life after they've already cropped up. Take care of your skin like you would any other organ's health — you'll look and feel the best you can every day.